Sure, flash-based storage is all the rage for portable devices like media players, tablets, and netbooks, but storage developer Hitachi is aiming to prove there’s still a lot of life left in hard drive technology—and that hard drives still win the cost-per-gigabyte war, even for small portable devices. 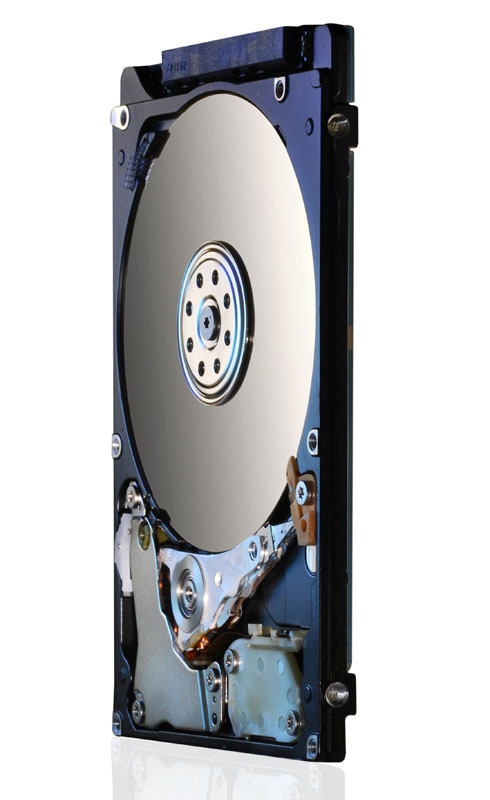 Hitachi Global Storage Technologies has just introduced its new Travelstar Z5K500 hard drive—and says it’s the highest capacity 500 GB available that measures just 7mm thick: perfect for portable media devices. The Travelstar Z5K500 offer a single-platter design spinning at 5,400 rpm and sips just 1.8 watts during read and write operations, and drops down to just 0.55 watts of power consumption at idle. The drive features a Serial ATA 3 Gbps bus and an 8 MB onboard cache; the drives are also the second generation of Advanced Format Hitachi drives, which push sector size from 512 bytes to 4,096 bytes, improving drive capacity and error-correction capabilities. The Travelstar Z5K500 drives are also available with optional bulk data encryption (BDE) technology for drive-level data security, and a version will also be available for Enhanced Availability applications (like blade servers routers, and surveillance systems) that are expected to run 24/7 in relatively low-transaction applications. The Travelstar Z5K500 drives will be available this month via selected distributors in 250, 320, and 500 GB capacities. 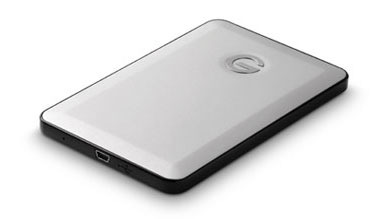 It’s also the heard of the new G-Technology G-Drive slim, especially designed to complement Apple’s super-slim MacBook Air notebooks—the G-Drive slim should be shipping in the first quarter of 2011, although pricing has not been announced.